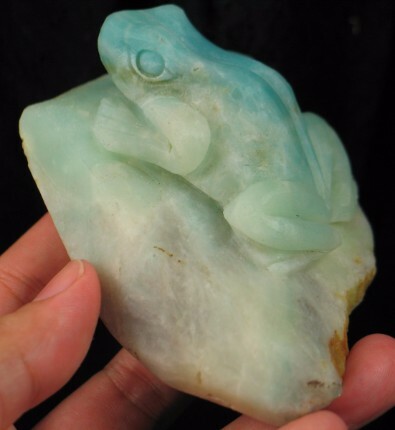 I couldn't resist this adorable frog carving. 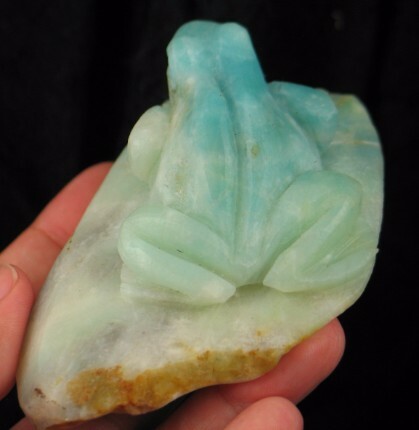 The amazonite has a nice blue green hue to it. 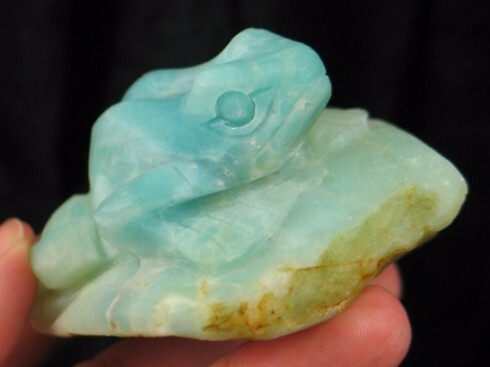 The frog totem is a powerful totem residing in the realms of both earth and water. Its energy is associated with the emotions and helps one shed physic resonances picked up from others. It is a symbol of creativity and change. It helps one to transition more smoothly through life's stages. 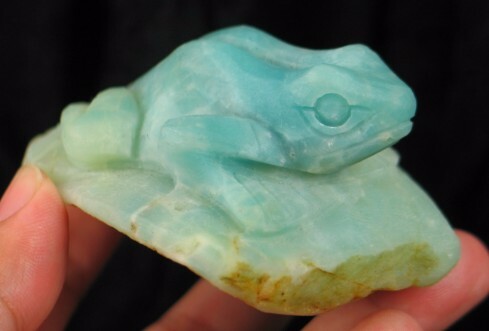 Amazonite is known for its beautiful turquoise color which can range from light green to rich hues that are almost gemmy. 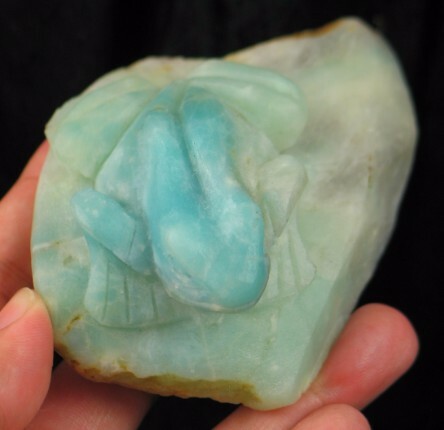 Amazonite is said to be named from the color of the war paint worn by the Amazon Woman Warriors! 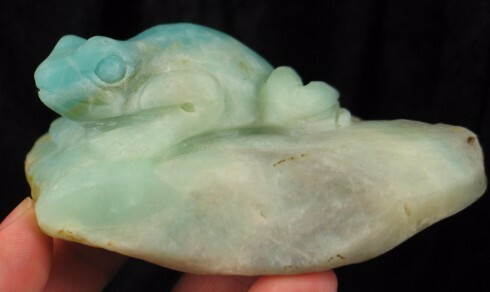 Amazonite is said to calm one's emotions & soothe nerves, and to enhance creativity and the ability to express oneself. 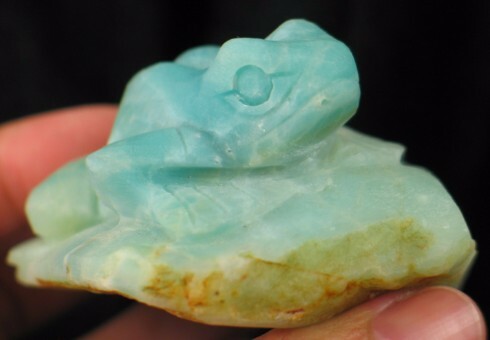 The deeper the color of the amazonite, the more intense the effect is said to be. 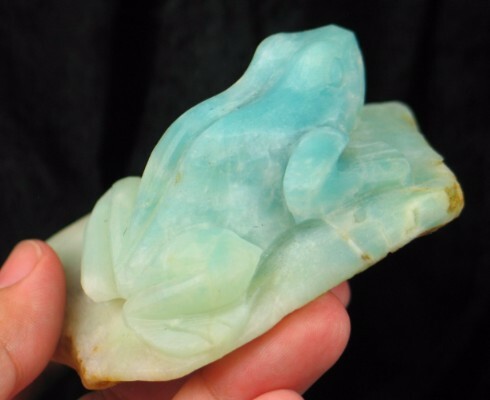 Amazonite is said to alleviate muscle spasms and to help normalize calcium levels in the body, and to relieve stress and exhaustion. 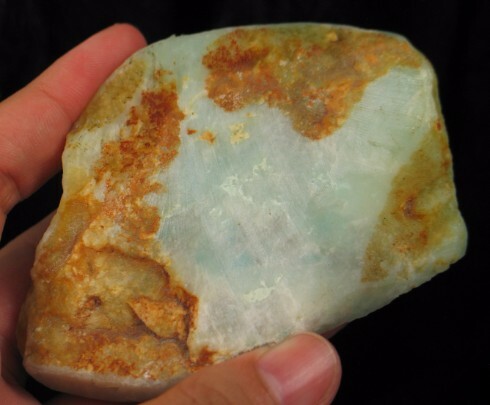 Being a variety of microcline feldspar, amazonite is said to also possess all the properties of microcline as well: Microcline is said to be useful in the treatment of eye disorders and fevers, and to help control water retention and to help with ease of childbirth. It is said to stimulate clarity of thought, to enhance understanding, and to improve one's ability to cooperate with others.